The glass is round, and the ice is round, too. 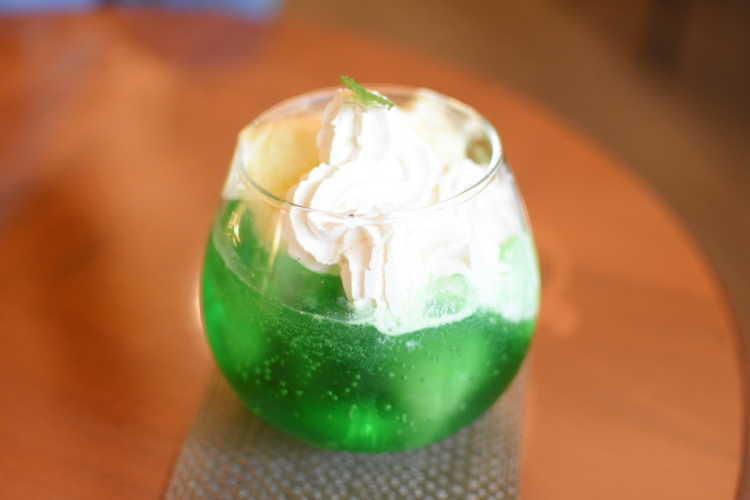 It's a round, lovely ice cream soda. I had it with cake. The cafe staffs are friendly, and I could have a good time without thinking about time though I visited on Sunday. © 2019 City's Pride All Rights Reserved.